A&G Marble has been in stone business for over 40 years, expert in stone manufacturing, importing, fabricating and installing of natural stones and engineered stones materials. Natural stone slabs and tiles have been used widely from exterior design to interior applications – floors, walls, kitchen backsplash, bathroom backsplash, tub surrounds, fireplace surrounds, entryway, sculptures, fountains and pool surrounds. If you are building or remodelling your home, consider adding natural stone to your design is a great choice. Natural stone floor and wall can bring unique creation to any design. At A&G Marble in New York, you have choose from marble, granite, onyx, quartzite, travertine, limestone and other stone materials. We have a wide range of color from light to dark. We import natural stone slabs and tiles from major manufacturers around the world. A&G Marble has large quantities of tiles in granite, marble, limestone and travertine in our warehouse. Our tiles thickness are in 3/8″. Standard tile sizes are in 4″x4″, 6″x6″, 12″x12″, 16″x16″, 18″x18″ , 24″x24″ and other common sizes. Size in 2″x2″, 2″x4″, or other custom size are also available for some colors. We offer high quality, custom tiles to commercial and residential buyer. Products can be pick up in our facility in New York or delivery by affordable transportation agency. Before you investing in any natural stone surface for your home or business, be sure to consider that you need to hire a reliable fabricator for your project. Your ultimate objective should be a unique and beautiful environment that reflects your individual taste and delivers the highest possible value. A&G Marble is proud to be one of the leading artisans of natural stone fabrication in New York Tri-States area. We are specialized in both commercial and residential applications for new constructions or remodeling projects. Our consultants and technicians possess knowledge, skill and experience in design and fabrication of natural stone in any surface include, but are not limited to, kitchen and commercial countertops, tub deck and fireplace surrounds, stone/slab shower enclosures, vanities, window sills, custom furniture pieces and stone/slab wall applications. There are over 200 varieties of natural and engineered materials available in our facility, enabling to provide you quick turnaround time and competitively priced. We believe our products and services will surpass your expectation. Natural stone installation is not a simple task, it involve with heavy labor work, years of experience and time management. Dedicated and reliable installers to install natural stone application are strongly recommended. That way will assured of a beautiful and correct installation in time. A & G Marble has highly qualified installers for all your stone needs and other general contracting abilities. We perform all management tasks in residential dwellings and commercial spaces to coordinate the final completion of the project. Ask us about our other services and how they interact with our stone products and services. A & G Marble is a New York family owned and operated. What separates us from everyone else, is the amount of passion and involvement the owners have with each and every project. You will certainly get the very best service. A&G Marble is proud to be one of the highest quality marble, granite, onyx, quartzite and all other natural and engineered stones fabricator and installer. Over 500 varieties of natural and engineered stones are readily available in our facility. 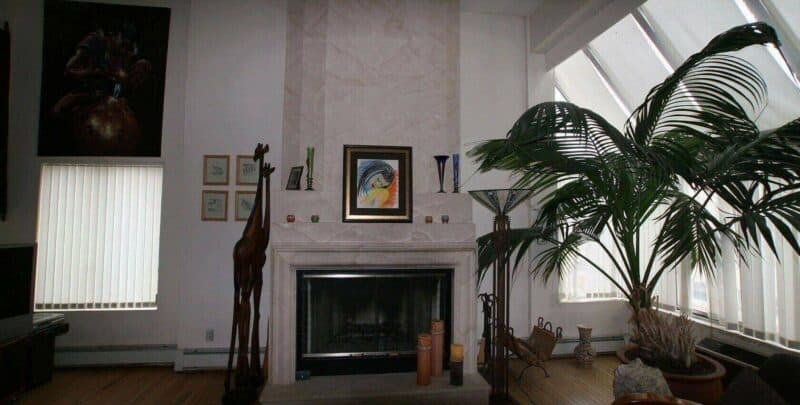 A & G Marble is a New York 40 year old family owned and operated manufacturing, fabricating and installation business of all natural stones, Marble, Limestone, Granite, Onyx, Travertine & Slate, including semi-precious stones. Don’t take our word for it…here are a few of our clients! We have recently completed a large marble installation in a major retail center, Mall Del Norte, Laredo - Texas. 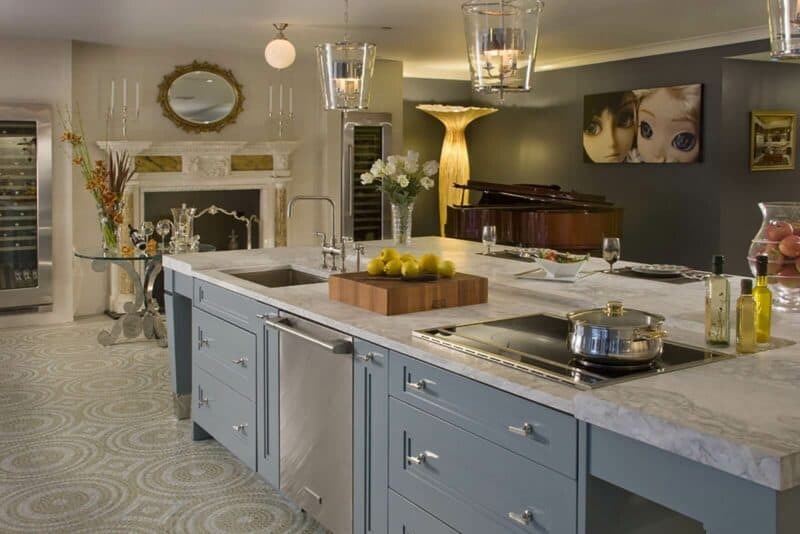 The project encompassed the complete resurfacing of 120,000 square feet of existing floor with 3/8" polished and honed marble tiles 12" square. A & G Marble and Tile coordinated the acquisition and fabrication of the entire stonework portion of the contract. The materials shipped to the job were of the finest quality in terms of color and veining consistency. The material was also extremely uniform in thickness and edge to edge tolerances. This kind of excellence is rare, especially when dealing with Mexican materials and particularly poignant when selecting such a wide ranging stone such as Gris Tepeaca. When minor amounts of the material were not satisfactory they were culled and returned to A & G Marble and tile without a confrontation or question. A & G Marble went through a great deal of preliminary effort to arrange our visits to the quarry to examine their manufacturing facilities and the quality of the material to be used. The end result is absolutely breathe taking! A & G Marble maintained an excellent business relationship thoughout the project and was able to expedite the materials in a timely manner to coincide with our accelerated construction schedule. We would not hesitate to consider using A & G Marble for any of our large projects that require the use of fine stone materials. "Extremely satisfied. They are quite knowledgeable about their materials. We were happy with the work they did in our kitchen--beautiful craftsmanship and very professional." It was a difficult installation, with a lot of on-site cutting and adjusting, but I would hire this company again. With A&G Marble we never have to worry about problems; they anticipate and communicate potential problems before it is too late. Amazing large selection, and quality work. My wife and I went searching in the flushing area when we were ready to redo our kitchen, we found a few places in the area but the quality of work and craftsmanship really stood out at A & G Marble. The family owned business which has been there for over 40 years is willing to help find anything you may need. Needless to say, our project could not have come out any more beautiful we are 110% satisfied.